Great Saturday at Amazing Grace Food Pantry. Volunteers served 92 client families, including 10 new. 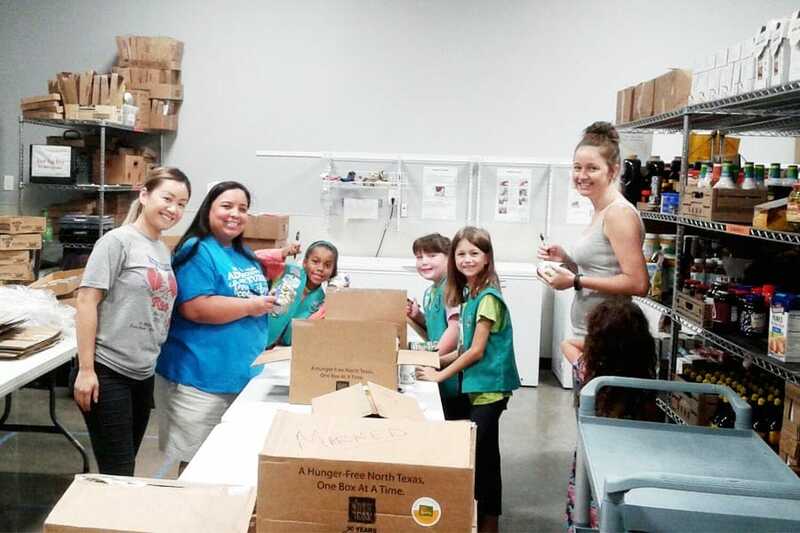 Girl Scouts marked donations, bagged cat food and made up food boxes for next week’s clients. I have been going to the Amazing Grace Fellowship Food Pantry in St. Paul, Texas for over a year and they have been helping me through a very difficult time in my life. I had two operations and three trips to the emergency room in the past year nearly taking my monthly income from Social Security trying to pay them. If it weren’t for the Amazing Grace Fellowship Food Pantry in St. Paul I would nearly have starved for many months. They have been very courteous, kind and helpful to all who go there and I don’t know what I would do without them. I feel that they are God sent to help many people like me get through hard times in their lives. Their office area is very small and often we have to wait outside the front door in the rain or cold to be served.